Smith Genetics, Giddings, Texas will once again hold their annual cow camp, May 18-19 at the ranch. The two-day camp will be a Sullivan’s Stock Show U event for the fitting, grooming and showmanship portions. The camp will also cover material and be interactive for the educational contests featured at the Texas Junior Simmental/Simbrah Association Futurity, American Junior Simbrah Roundup and American Junior Simmental Association’s Regional Classics. To learn more and sign up, visit smithgenetics.com. 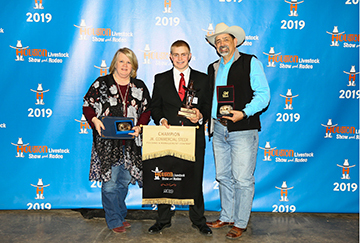 Junior Simbrah breeder, Robert Stavinoha, recently won the Houston Livestock Show and Rodeo Commercial Steer Contest. The contest is a multi-faceted event that focuses on the feeding of the steers, their quality and grade, as well as the contestant’s score on a written test, meats identification quiz, two interviews and record book. 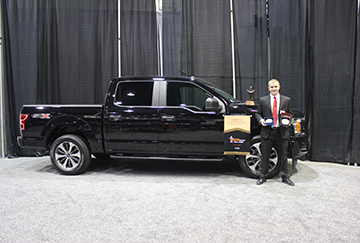 He won a $1,000 scholarship, buckle, banner and a 2019 Ford pick-up. Congratulations Robert. Robert Stavinoha (center) and his parents, Tina and Leroy are pictured after Robert’s big win. Steer feedout planned at August Simbrah Summit in San Antonio in conjunction with the ASA Simbrah Committee has 78 steers on feed at Graham Land & Cattle and are about to finish up the test. A similar group of heifers fed out from North Texas all graded Choice or Prime with no yield grade 4's or 5's. After these tests are done, including the upcoming one in West Texas, ASA will have received genomic and carcass data on 275 head, which is the largest influx of genomic and carcass data for Simbrah ASA has received. Possible talks of holding 2019 Simbrah Summit at Graham Feedlot to increase understanding and exposure of the tests and operation. There is a need for us to get the word out about what the requirements for these tests are and how low the cost is. ASA Simbrah committee was very impressed with the engagement at Simbrah Summit and contributed money for this test. This is the first time ASA has sponsored something for Simbrah of this magnitude in a very long time. Steers for the next test would need to be vaccinated and castrated, ready to begin in November. · Huge success in Fort Worth with a lot of exposure for the breed. USDA is DNA sequencing a full Fleck Simmental X Bison for Mark testing purposes. This process used to cost over $1 million. but is now around $100K and this sequencing will put new Simmental data into the system that has not previously been available due to cost. · ASA has hired an outside national advertising agency to revisit to current promotional material for ASA and generate new ideas. Board members will not have direct approval of ads and material, but they are being included in the conversations and initial planning meetings. 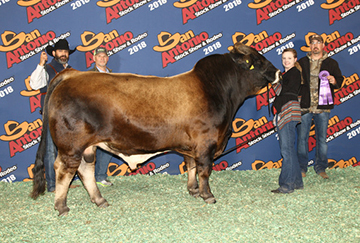 · Simbrah/Simmental Superbowl was held in February at San Antonio and was very successful. To date, Superbowl has given out over $900K in premiums and scholarships over the past 27 years. Forty-one breeders sponsored the event this year. · Rio Grande Valley Feed Test is going on and about to wrap up at Rio Beef. The top 25 bulls will sell in an online sale. Test starts at the end of October through the end of February with the sale being in mid-March. They do a heifer feedout too but there is no sale associated with it. Rio Beef can feed out and develop heifers you’re keeping as replacements in your herd cheaper and better that most cattlemen can. Let Reavis know if you’d like more information on their feedout programs. · The silent auction held at Synergy last fall raised $2,173 that goes to fund Simbrah News and other publication and promotional materials for Simbrah. The metal sign also raised an additional $2,750 making this one of our most successful fundraisers ever. · Simbrah World is currently at the printers. It is usually printed by Houston, but struggled to get enough ads with this one. The magazine usually has about 32 pages, but we’re down to 28 pages now which only allows for 6-8 pages of editorial content. The magazine can’t afford to get much smaller and remain sustainable. Please continue to support Simbrah World and refer new breeders and clients for the B&W Card ad at $80 per year. Website advertising is $200 per year with a link to your website and $75 for the email list e-blast. We need more support. · Simbrah News went to the ASA Board and they are very impressed with what we are doing. ASA featured this in January at the board meeting. We don’t currently get cost share funding for this from ASA/TSSA but TSSA will now get credit for ads they put in the special Simbrah News publication after the board saw it. · We need to support the commercial bull sales at Fort Worth (currently has heifer sale but bull sale coming in 2 years), San Antonio, and Houston next year to tap into these commercial markets and increase exposure for Simbrah. If we show support of these sales, ASA will give us more support from the commercial side. · Jake Tortorice and Kieth Strack were nominated to run for the two vacancies on the board, unopposed. They replaced Pete Neischwietz and Jane Travis, both of whom had served two three-year terms and were ineligible for re-election this year. Golden Star Simbrah, Golden, Texas was recently awarded the 2018 “Simbrah-Champion of the World“ Bull. LMC 6G Golden Boy, owned by Golden Star Simbrah won the gold, followed by silver being awarded to South Africa and bronze to Colombia. The “Bull of the World” contest is conducted by Simbrahbreeder.net and included bulls from Colombia, Brazil, Zimbabwe, Australia, Botswana, Namibia, South Africa, Mexico, Costa Rica and the United States. Each bull was evaluated by a panel of four judges; Felipe Andres Forero V (Colombia), Franco Koch (South Africa), Alberto Banuet (Mexico) and Fred Schuetze (USA). Golden Boy has won many additional titles including 2018 International Champion Simbrah Bull at Houston, 2018 Ft Worth Grand Champion Bull and 2018 National Reserve Champion Simbrah Bull in San Antonio. Golden Boy will now compete in the 2019 “All Breeds World Supreme,” which will feature the “Miss World”and “Champion of the World” with winners from 16 different breeds. There will be one winner from the 1,000 entries that started the competition. The Alamo City group has announced that their spring sale will be held April 1st. 3rd. The sale will be online through www.cattleinmotions.com and members of the group include Baring Cattle Co., Freasier Ranch and La Morra Ranch. For additional information contact Roy Baring, III at 210/867-6651. La Muneca Cattle Co., Linn, Texas has announced they will host online sales on www.cattleinmotion.com. The La Muneca Cattle Co. GenePLUS Online Sale XXVII will be March 23-26; La Muneca Cattle Co GenePLUS Online Sale XVIII will be June 22-25, and the LMC GenePLUS Online Sale XXIX is scheduled for August 24-27. The Heart of Texas Simmental/Simbrah Association and the East Texas Simmental/Simbrah Association will hold their Fall Fest sale, September 14th. The sale will be held at Buzzard Hollow Ranch, Granbury, Texas. For additional information contact Robert Piper at 830/305-4550. Sale host, Tim Smith announces that Synergy XII will be held the fourth weekend of September. The date for the 12th annual event will be September 27-29th. It will include a sale, a junior show for qualifying heifers, showmanship and educational contests. For additional information contact Smith at 512/587-7896 or smithgenetics1@gmail.com. Junior Simbrah exhibitors mark your calendars for the summer shows. The Texas Junior Simmental/Simbrah Futurity will be held, June 5-9 in Bryan-College Station, Texas, while the American Junior Simbrah Roundup will be June 19-22 in Crescent, Texas. The American Junior Simmental Association National Classic will be July 21-28 in Louisville, Kentucky. Please check the respective websites for entry deadlines and ownership date requirements. Description of project: The American Simmental Association’s (ASA) SimGenetic Steer Feedlot, hosted by Graham Land & Cattle Company in Gonzales, Texas, is a research effort designed to provide additional carcass awareness of a wide array of Simmental influenced cattle. The purpose of the project is to provide a platform for ASA members, in particular those in the south-central U.S., to capture more feedlot information and carcass data to strengthen the genetic awareness of all Simmental cattle – especially those populations hhly prevalent in the heat challenged regions of the country. Feedlot and carcass information will be shared with the ASA to enhance genetic predictions of carcass phenotypes. 1) Nominator/owner of the calves holds an active ASA Membership. 2) All deadlines and cattle requirements. 3) Forfeit possession of all animals entered upon delivery to Graham Land & Cattle Company. 4) Entered steers will be harvested at the discretion of the feedyard. 5) Steers will be marketed on a grade and yield basis (carcass) and paid accordingly. 6) Inform ASA’s Chip Kemp (via email at ckemp@simmgene.com) by 10/15/18 of interest in program. 7) Following 10/15/18 follow up communication will be held with those who have expressed interest. 1) Only steers are eligible. No heifers or intact males. 2) There is not a limit on the number of steers an individual can enter in the program provided they meet the criteria. 3) Minimum number requirement is two steers. 4) Minimum of two sires represented in the group. 5) All sires must be entered in the ASA database. 6) Legible and unique ranch identification tag required for each steer. 7) Legible and unique brands are encouraged but not required. 8) Birthdate required for each calf. 9) DNA sample will be collected at the yard. Owner not responsible for DNA collection. Matching EID tags applied. 10) Birth date no earlier than 01/01/18. 11) Weaning date no later than 10/01/18. 12) Recommended weight range between 500 and 800 lbs at delivery. Groups outside of this range need prior approval. 13) No horns. Steers must be polled or dehorned. 1) Steers require a minimum of 30-day post-weaning preconditioning period. 2) Steers require two rounds of BRD vaccinations. 3) Steers require two rounds of blackleg vaccination. 4) Steers need to have been exposed to some grain during the post-weaning preconditioning period. 5) No blindness, down ears, lame calves, apparent respiratory illness, temperature, infection or apparent illness. 1) Owner is responsible for animal delivery. 2) Graham Land & Cattle can assist with making trucking arrangements if needed. 3) Cattle need to arrive at yard between Monday 10/29-Wednesday 10.31. Cattle to be delivered between 7 a.m. and 5 p.m.
4) If you need to make arrangements for other times please visit directly with feedyard management. 5) Steers will be valued at the onset of the project by a third party. 2) Monthly bill handled by Graham Land & Cattle. For more info visit with feedyard management prior to delivery. 3) Feedyard will partner on calves if desired. Conversation needs to be had with feedyard management prior to delivery. 4) Pre-harvest death or injury of animal(s) may occur at any point. 1) All animals entered will be fed at Graham Land & Cattle Company in Gonzales, Texas. 2) Feedlot placement will occur prior to Nov. 1, 2018. 3) All feedyard decisions at the discretion of feedyard management. 4) Harvest date and location at the discretion of feedyard management. 1) Graham Land & Cattle will be hosting a field day for all participants. Date to be announced. 1) ASA and staff, the feedyard and staff, the trucking firm and staff, and all other parties involved are not responsible for injury, illness, or pre-harvest date death of animals involved. 2) Entrants may lose money during their participation. All parties involved will effort to minimize this risk, however any losses or bills are the responsibility of the entrant. The Simbrah World staff recently received a request to design logos that could work for breed promotion on caps, jackets and the likes. The logos are available in different sizes and variations by red or black Simbrah are provided at no cost. They are posted here for your viewing. Please contact Martha at hollidaco@att.net to request the artwork in high resolution format. At the Synergy XI Sale, a silent auction was coordinated by Belva and Twila Johnson to benefit the Simbrah Promotion Fund. Due to the generosity of breeders, both on the donating and buying end, $2,173 was raised. Also Reavis Farms and Martha Hollida Garrett donated an iron Simbrah Breeders promotion sign that sold in the live auction for $350 to the Tortorice Family. Twelve additional breeders elected to purchase one for $350 each which generated after production costs a total of $2,750. Thank you to all who participated. The World Simmental Fleckvieh Federation (WSFF), is an organization made up of 25 country associations around the world of Simmental, Fleckvieh and Simbrah cattle breeders. 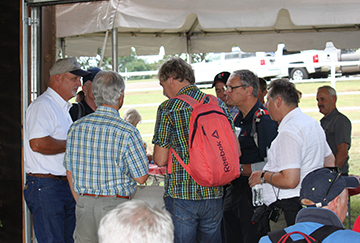 Every other year, the congress rotates hosts for business meetings, ranch tours, learning and fellowship. The 2018 WSFF Congress was held in Fort Worth, Texas, only the second time to be held in the United States since the first in 1992. The event boasted nearly 170 appointed delegates from 19 countries, making the event the largest WSFF gathering in the past decade. 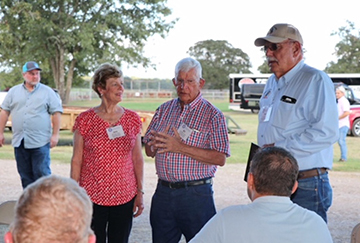 Included in the week-long event was ranch tours, including Simbrah operations, Black Oak Ranch/K5 in Mineola, Texas and Pine Ridge Ranch, Athens, Texas. Fred Schuetze, who is the WSFF president and served as event coordinator said that it was a pleasure to host Australia, Austria, Brazil, Canada, China, Colombia, Czech Republic, Germany, Guatemala, Hungary, Italy, Mexico, Netherlands, Poland, Romania, South Africa, Switzerland, Venezuela and of course delegates from the United States to the historic Fort Worth Stockyards. It was an honor to showcase the way Simmental, Fleckvieh and Simbrah cattle are raised in the USA. Kenneth and Rhonda Airheart hosted the World Simmental Congress at Black Oak Ranch/K5 Simmentals. Bill and Jane Travis welcomed international guests to Pine Ridge Ranch. The Rio Grande Valley Beef Improvement Association (RGVBIA) recently competed its annual all breed gain test. There were over 90 bulls on the test and the RGVBIA Index is the ratios of the following computed with each age group and breed: 30% for average daily gain; 20% rib-eye area/cwt, 20% weight per day of age, 20% marbling and 10% scrotal circumference. Reavis Farms, Mission, Texas had the high indexing Simbrah bull and the third highest indexing bull overall with a RGVBIA Index of 123.00. The bull sired by RFI Real Deal was the champion in the intermediate division. 7N Ranch, Donna, Texas had the champion junior Simbrah bull with an index of 108.23, while La Muneca Cattle Co had the reserve with an RGVBIA Index of 103.68. 7N and La Muneca also had the champion and reserve champion calves with bulls that indexed 112.45 and 108.20 respectively. 7N saw their Simmental bull have the highest index on the test with a 125.94 RGVBIA Index. The bull is a son of Mr. NLC Upgrade. The top 32 bulls were offered for sale through an online auction, earlier in month. 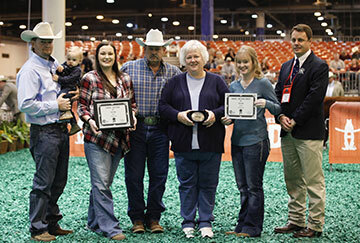 Simbrah breeders held their annual meeting during activities at the Houston Livestock Show and Rodeo. President Wayne Reavis called the meeting to order. He updated the group on fund raising efforts to pay for Simbrah News and other projects. Luke Bowman with the American Simmental Association (ASA) was in attendance and he discussed various ASA programs and events. ASA Chairman of the Board of Trustees, Tim Smith and Fred Schuetze, trustee discussed many aspects of the ASA, including the upcoming release of BOLT concerning EPDs and the sound financial condition of the association. 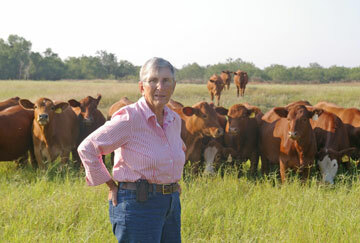 Jane Travis invited everyone to bring their cattle to Pine Ridge Ranch for ultrasounding. Fields Cattle Co., Mt. Pleasant, Texas was recognized during the Houston Livestock Show and Rodeo’s ™ Simbrah Show with the 2017 Simbrah Champion of the World, also known as Miss World and Miss North America titles for their female TKK FCC Rosie. This female was the 2017 International Champion and then went onto compete in the world judging. The contest is conducted by Simbrahbreeder.net under the direction of P.J. Budler. Females from several countries were evaluated by the international judging panel of Carlos Ojea Rullan, Argentina; Heinrich Bruwer, South Africa; Glenn Trout, Australia and Mark McClintock, U.S. The female, TK/FCC Rosie, a daughter of LMC KPBR Evolution and was a many time champion prior to these international titles. She won the gold, Mexico won silver and Costa Rica the bronze in the Miss North America contest and for Miss World, she won gold, Namibia was silver and Mexico took bronze. “We as a family were very honored to receive such a prestigious award. While it is a family win, dad (Tim Fields) is really the one who deserves all of the credit. It was his vision to become involved in the Simbrah breed initially and it was his vision that planned the mating that created Rosie. He was the one who saw her true potential as a calf and is the man who put in the day to day prep and maintenance of the cow. It was a sincere proud moment for him each time she was in the winner’s circle and she is proving to be one of his and our all-time favorites for sure,” described Katy Fields. Fields Cattle Co. was honored during Houston Simbrah events as their female, TK/FCC Rosie was named Miss World and Miss North America. Pictured (l to r) Webb, Ryder, Dulcie, Tim, Karen and Katy Fields and P.J. Budler, coordinator of the world judging. Smith Genetics, Giddings, Texas donated a polled three-quarter Simmental, one-quarter Brahman heifer towards the American Simmental Association’s Foundation fund in honor of the late Sally Buxkemper. The young female was auctioned as the first lot at the Simbrah Synergy X Sale, which was hosted by Smith Genetics on September 23rd. The April 2017 heifer sold for $10,200 to a buyers group that included Simmental and Simbrah breeders, enthusiasts and promotional companies from across the country. Fred Schuetze, Granbury, Texas spearheaded the drive to bring the group together and make the final bid of $10,200. The heifer will remain at Smith Genetics and money from all resulting progeny will also be contributed to the ASA Foundation in Buxkemper’s honor. The buying group included: Buzzard Hollow Ranch, Matt Shiel Family, La Muneca Cattle Co., Mike Mallett Simmentals, 6G Ranch, Beth Mercer, Bob Finch, Gordon Hodges, Jimmy & Kathleen Holliman, Chuck Miller, Tim Curran of Circle Ranch, Lassle Ranch Simmentals, McDonald Farms, Fred Smith, Dale and Paula Miller of Miller Simmentals, Willie and Sharon Altenburg, Bert Moore, Tom & Renee Nelson, Pine Ridge Ranch, Randy and Joy Moody of Little Mountain Simmental, Gordon Jones, Grahmann Land & Cattle, Nichols Farms, J.W. & Carol Brune, Roger & Erika Kenner, Jim & Gail Ligon, R.A. Brown Ranch, McCrary Farms, Reavis Farms, Inc., Pebble Creek, Monte Christo, Hallak Ranch, Diamond RF Farms, Burch Farms, 7N Ranch, Triple J Ranch, Temperance Cattle Co., Johnson Cattle Co., The Hollida Co., Genetic Development Center, Roberto Davila, Greg Burden, Southern Livestock Standard and Simbrah World. Buxkemper was a former ASA Board of Trustee, Simbrah breeder, advocate for genomic advancement and devoted her life to studying genetics and working to make genetics evaluation understood and utilized. You've come to expect the American Simmental Association (ASA) to leverage all its resources to provide the industry with the best prices and most robust science. The Cowherd DNA Roundup is a perfect example of that service. Breeders who submit a DNA sample on their entire cowherd can get genomically enhanced EPDs and parentage for $20/test. Breeders who submit cow weights with either body conditions scores or hip heights get an additional $5 off per test, for the price of $15/sample. This project marks a major investment from the ASA towards research and development. The $15 test is only available for the first 15,000 samples with phenotypes submitted. There is no estimate of when the results will be available on samples submitted. Donor cows and bulls do not qualify. No additional DNA tests are available with this offer. Leoma Wells, ASA's DNA and Total Herd Enrollment (THE) Specialist, will transition from DNA Services to ASA's point person for the Cowherd DNA Roundup project. When asked about the transition, Wells says, "I am excited and grateful to be a part of this revolutionary project. It combines two of my favorite areas, DNA and data collection on females. The wheels are turning and I absolutely can't wait to get started and smash the goals we have set." In September, ASA will welcome Carolyn Wild to the DNA department to help with the daily DNA services. Contact Wells or Jackie Atkins for more information at 406-587-4531. AMERICAN SIMMENTAL ASSOCIATION INTRODUCES "ACTIVE HERD"
Active herd animals and their data are not official records and are provided as a service to members who wish to record supplementary data for their animals. However, since you can record the same data you would normally report in an animal entry job you can create new animal records with the Active Herd interface and thereafter select animals of your choosing to be officially reported using the traditional job system. Your active herd data for those animals will then be used to start a new job from which you can continue to report/register animals. You can access the new features by going to the Herdbook website (https://www.herdbook.org), logging in, and clicking the "Active Herd" link under the "Herd Mgmt" menu. Upon clicking this link you'll be taken to the Active Herd landing/home page, where you can begin by clicking the "New Group" button to create a new group. Once you've created one or more groups you can click the "New Animal" button to add new animals to one of those groups. The help section for Active Herd can be found by clicking the "Help" menu item at the top of the page and then clicking the "Herd Mgmt" section in the table of contents displayed. The American Simmental Association (ASA) recently unveiled new marketing materials for the Simbrah breed. 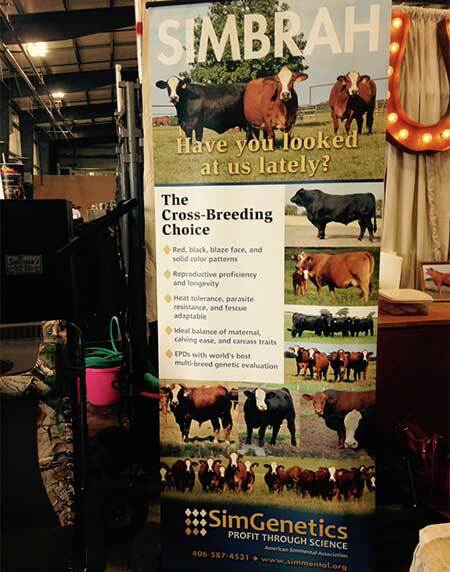 There is a new brochure, as well as signs promoting Simbrahs as the cross-breeding choice. The materials include all new photos recently taken by Hannah Wine, ASA junior director. For details on how you can get copies of the brochure for distribution and have the sign at events in your area, contact the ASA at 406/587-4531. The progeny of six Simbrah bulls have been weighed, tested and measured at every stage of production – with special emphasis in the carcass data, in an effort to prove their genetics are as good as believed. The calves from these sires, were weaned from the test herd at University of Illinois Experiment Station as part of the long-running American Simmental Association’s Carcass Merit Program (CMP) and now they have been harvested. The CMP program, started in 1996, is the longest-running, structured sire evaluation program in the cattle industry. The program has expanded over the years to included about 500 sires, cooperator herds in 16 states, 35,000 matings and more than 5,000 carcass records. Other breeds have been included in the CMP and the data has contributed to several breed association databases. The six bulls sired 27 steer calves and 26 heifer calves in this particular test. The results were favorable for Simbrah sired calves, when comparing the numbers against the Simmental and SimAngus calves. Please click here for a complete breakdown by sire and information on each sire. Additional testing of Simbrah sired calves is in the future through the CMP program and updates will be provided as the Simbrah breed tracks carcass data. “The ASA Board has been supportive of getting Simbrah carcass information and this combined with 50K enhanced genetic data and ASA’s Total Herd Enrollment (THE) program will allow the Simbrah breed to continue to improve the accuracies and revelance of our EPDs for carcass and all traits. Simbrah breeders are continuing to encourage ASA to provide these test herd programs, so that the breed can gain additional data,” explained Tim Smith, Simbrah Breeders Group president. The Simbrah steer feed out will begin with flex time in Mid October and held at Graham Feeders.The committee would like to have Spring born steers, branding preferred, tattooed and ear tagged. The cattle health work should follow the Texas A&M Vac 45 program. Texas A&M will be consulted during this test. Breeders will own their individual cattle while in the feedlot and retain individual risk of death and sickness. Health insurance should be obtainable although seldom utilized due to high success ratio.The intention is to feed to a large weight without additives to maximize carcass quality. The cattle will be fed to approximately 1400 lbs. Steers should weigh 550 lbs. or more at shipment. Upon harvest, each breeder will receive all data identified by tattoo numbers and each breeder will be paid based on the result of the individual carcass. Freight to feedlot will be paid by each breeder. Group shipments and loading points will be studied to minimize shipping costs.There are no scheduling or handling costs associated with this feed out and all risk is maintained by each breeder without recourse. The goal is to express the carcass quality of the Simbrah breed. For additional information contact Bill Travis at billtravis@bigplanet.com or 214-850-6308. The American Simmental Association now has a locator map that makes it as easy as clicking a button to locate Simgenetic members. The map can be found at www.simmental.org and it allows you to click on a location and find ASA and AJSA members in that area. Bill Travis supplied us with the attached information concerning Simbrah Steer Carcasses and how they ranked (very favorably) in this feedout information. Simbrah World has developed a list of email addresses, taken from subscription information. We can do email blasts to this list for $50. You can send a message and/or an ad, photo or promotional pieces along those lines. The list currently has approximately 150 names and we are working to add more. While the number may not be large, remember these are people who are active in the Simbrah breed. If you have an event/animal you want to promote, contact Martha at mgarrett@southernlivestock.com or 903/316-8465. Yes notice at the top of the page we now have a blog section. You can freely comment on any blogs posted, but to post a blog,you must first send it to marthag@southernlivestock.com and she will edit and post. Bloggers are wanted, so write about something that is going on in your Simbrah world and send today to Martha. If you desire additional information on Simbrah go to www.simbrah.org or www.simmental.org and click on the links for Simbrah. Copyright 2010 - Simbrah World Design by The Hollida Co & Stephanie Cronin, Inc.